In the Feast of Sto. Nino in the Philippines, Jesus points to the children as a model in obtaining the Kingdom. He specifically cited that childlike acceptance of the Kingdom is necessary. Clearly, Jesus is referring to some specific attitudes of a child which one must live to be worthy of the Kingdom. Dependence immediately comes to mind. Children need their parents or guardian. They could not live on their own. They depend on their parents for sustenance, security, shelter, education, etc. Until they are able to fend for themselves, they are always dependent on their parents. In the same way, we must be dependent on God. Without God, we are nothing. While we have gifts, which also came from God, they will always be wanting and limited. Only God suffices. Humility comes next. This is related to dependence. The fact that the child is dependent is an acceptance of weakness and therefore possessing an attitude of humility. The child knew that he came from his parents and owe them everything. The same with us in relation to God. No matter how rich, intelligent, famous or powerful we are, we can never claim we do not need God. What we have can only sustain us at a certain point. In the end we must admit we need God. Lastly, obedience. Children are basically obedient. Again, they are aware of their limitations. They know that parents and elders have more experience. That experience parents have should always remind children to confer and obey the counsels of their parents. With God, obedience is a must. He is the author of life. God knows how this life should be lived. God, in Jesus Christ, had enumerated to us how to obtain the Kingdom. If we are obedient to all His commandments, we can accept the Kingdom like a child and gain it. On this feast of the Sto. Nino, we remember Jesus, the child who grew in wisdom and strength. He was born of Mary, His Mother and was entrusted to Joseph. Yet, he remained a good Jew and a good child. He was an example of dependence, obedience and humility. The baby who was born had grown to be a child and then as an adult yet still possessing childlike attitudes which we can also imbibe. 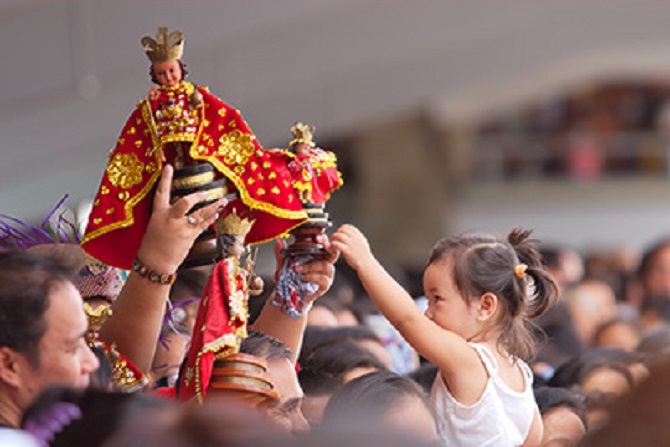 For 32 years, the Sinulog Festival is a traditional celebration in Cebu City held every third Sunday of January to honor the Santo Niño (Child Jesus). 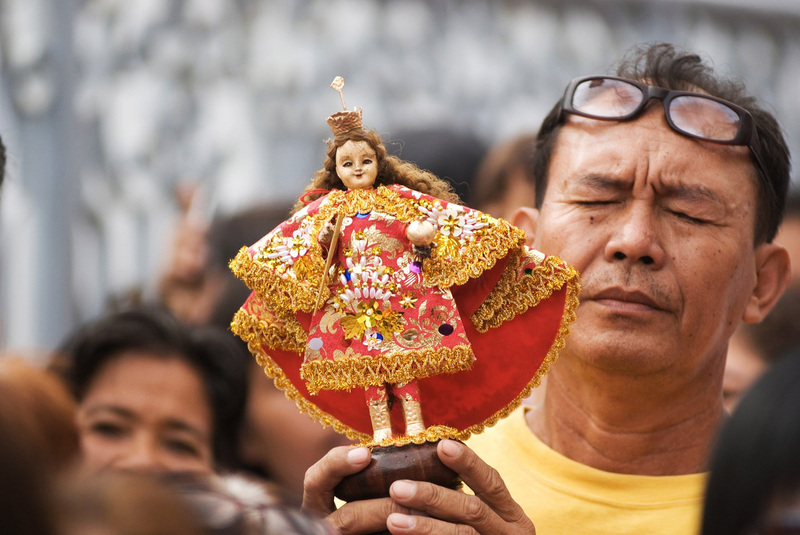 Basically, the festival is done by a dance ritual, in which it tells the story of the Filipino people’s pagan past and their acceptance of Christianity. 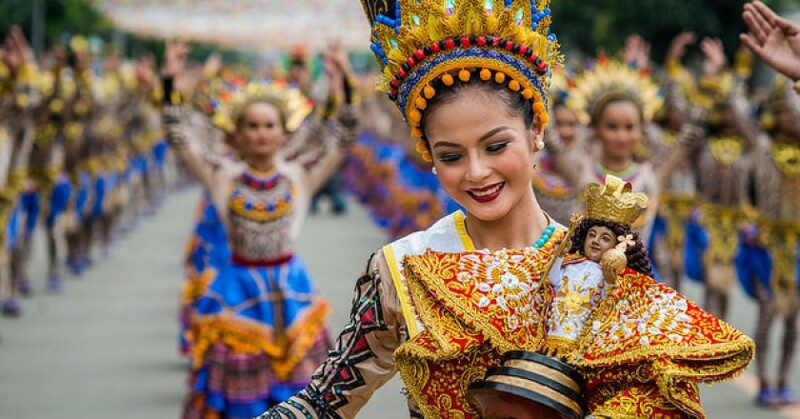 The word “Sinulog” means “graceful dance”, wherein it all started in 1980 with a simple dance that represents the “sulog” (or current) of a river in Cebu.